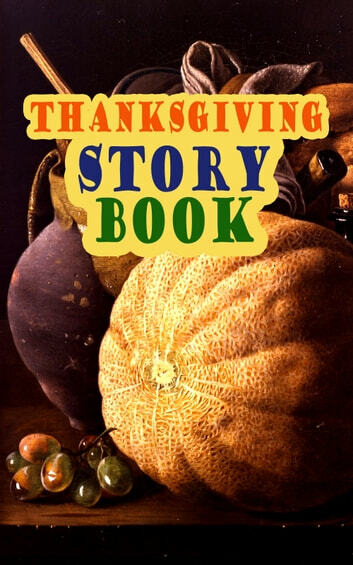 This carefully edited collection of the greatest tales of Thanksgiving is formatted for your eReader with a functional and detailed table of contents: An English Dinner of Thanksgiving (George Eliot) An Old-Fashioned Thanksgiving (Louisa May Alcott) Aunt Susanna's Thanksgiving Dinner (Lucy Maud Montgomery) The Genesis of the Doughnut Club (Lucy Maud Montgomery) Ezra's Thanksgivin' Out West (Eugene Field) John Inglefield's Thanksgiving (Nathaniel Hawthorne) Helen's Thanksgiving (Susan Coolidge) Thanksgiving at the Polls (Edward Everett Hale) Millionaire Mike's Thanksgiving (Eleanor H. Porter) The Thanksgiving of the Wazir (Andrew Lang) The Master of the Harvest (Mrs. Alfred Gatty) How We Kept Thanksgiving at Oldtown (Harriet Beecher Stowe) The Queer Little Baker Man (Phila Butler Bowman) A Turkey for the Stuffing (Katherine Grace Hulbert) Mrs. November's Party (Agnes Carr) The Debut of Dan'l Webster (Isabel Gordon Curtis) The Two Alms, or the Thanksgiving Day Gift (Eleanor L. Skinner) The Kingdom of the Greedy (P. J. Stahl) Thankful (Mary E. Wilkins Freeman) Beetle Ring's Thanksgiving Mascot (Sheldon C. Stoddard) Mistress Esteem Elliott's Molasses Cake (Kate Upson Clark) The First Thanksgiving (Albert F. Blaisdell and Francis K. Ball) Thanksgiving at Todd's Asylum (Winthrop Packard) Wishbone Valley (R. K. Munkittrick) Patem's Salmagundi (E. S. Brooks) The Visit (Maud Lindsay) The Story of Ruth and Naomi (Bible) Bert's Thanksgiving (J. T. Trowbridge) A Thanksgiving Story (Miss L. B. Pingree) How Obadiah Brought About a Thanksgiving (Emily Hewitt Leland) The White Turkey's Wing (Sophie Swett) A Mystery in the Kitchen (Olive Thorne Miller) Who Ate the Dolly's Dinner? (Isabel Gordon Curtis)…. Thanksgiving Stories: Thanksgiving Jokes Included! Thanksgiving, What Makes It Special? Gooney Bird Greene Three Books in One!